Your magnolia is infested with magnolia scale. In order to better decide a course of action, here is some information to consider: The last outbreak lasted for about five seasons before the insect largely disappeared. We do not know the factors that are involved in the increase/decrease in populations, so we cannot predict how long the current outbreak will last. Spraying the tree to control the population must be done every year while the problem persists. Scale is an animal that appears to have no resemblance to an insect. It has no legs, no eyes, and no readily apparent antennae; and it is hidden under a shell made of its own cast “skins”. Magnolia scale is white and ‘fluffy’. 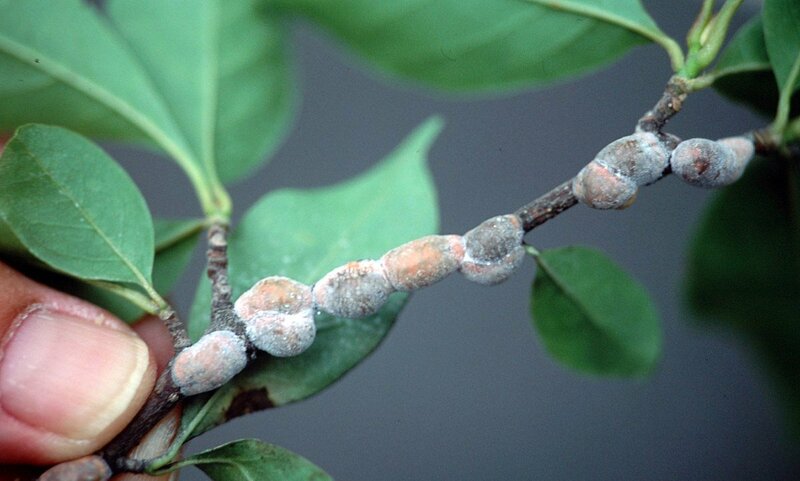 It is a common and important pest of trees and shrubs throughout the world except in arctic and tropical areas. The population of scale has exploded across the GTA in the recent past. During such outbreaks, it is nearly impossible to eradicate this insect. 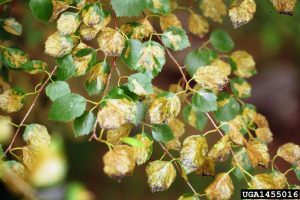 At best, we can apply horticultural soaps and oils 2-4 times per year in an effort to control the population to a point where the insect is not harming the tree. However, even with control there will still be active scale populations on the tree that will still cause sap to drip, and attract wasps, etc. 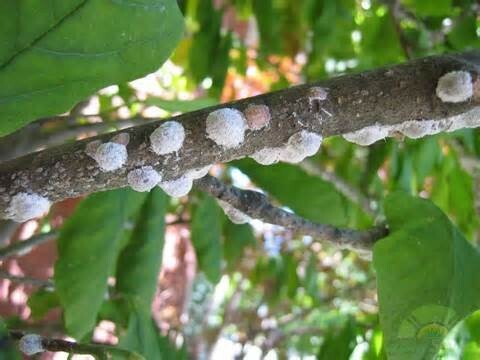 The insect is protected by a hard shell that pesticides will not penetrate. The only time to spray is in the spring or late summer/fall when the new crawlers (young nymphs) are mobile. When the insect cannot be treated, the only options are to prune the tree to reduce the problem, or prune away from a used area such as a deck. Recently we have had success in reducing scale populations by using a high pressure sprayer. Although the process will not totally eliminate the population, it will greatly reduce the annoyances of sticky honeydew and wasps. I am going to try the pressure washer on our large magolia which is infected. We will follow up with oil spray at hatching time — can you provide a link that predicts when exactly the hatch will be? I saw one online for Michigan, but not Ontario. We are in St George area, between Cambridge and Brantford. Thanks!